I had such a blast collaborating with Caitlin on this fun shoot for her family! Her cutieee son Graham was turning one and she wanted to celebrate the occasion by taking some special family photos to remember this sweet season! We wanted to think of something unique for her session since they had previously had photos taken in their home and outdoors to give them a different look and feel. We put our heads together and created this minimal, simple, and modern shoot at Relix. I love it because the focus is completely on Graham and their sweet bond as a family. The white balloons and smash cake from Magpie’s Bakery made for a fun, yet simple setting for Graham to celebrate his first birthday and enjoy his very own cake!!! 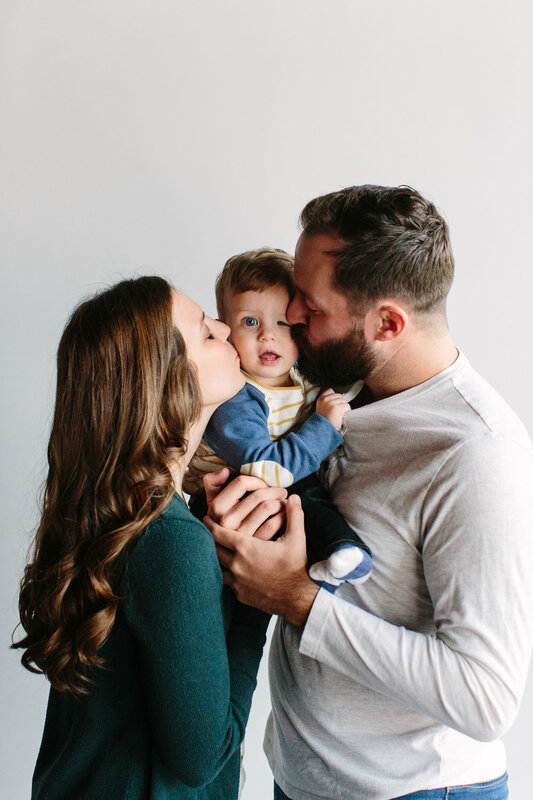 I hope you enjoy this fun, minimal Knoxville family session and that it will inspire you to think outside the box for your next family portrait session!